Prominent & Leading Manufacturer from Umbergaon, we offer stainless steel elliptical tubes. Grade SS304, SS316, TP304, TP409, 301,304,304L,316, etc. We are widely known for manufacturing and supplying a wide range of high-quality stainless steel elliptical tubes. 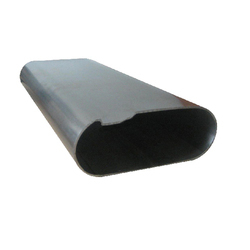 By keeping in mind of the varied requirements of our valuable clients, we have made the offered products in different sizes and specifications.